Spellings are given out each Monday. Please ensure your child learns these spellings by Friday of each week which is when the spelling test will take place. Homework is given out on Fridays and expected to be back by Tuesday. P.E. is on Thursdays. Please ensure your child brings suitable footwear for this (pumps/ trainers) - these can be left in school if necessary. As part of our Diversity Week, we studied some of the Indian culture. 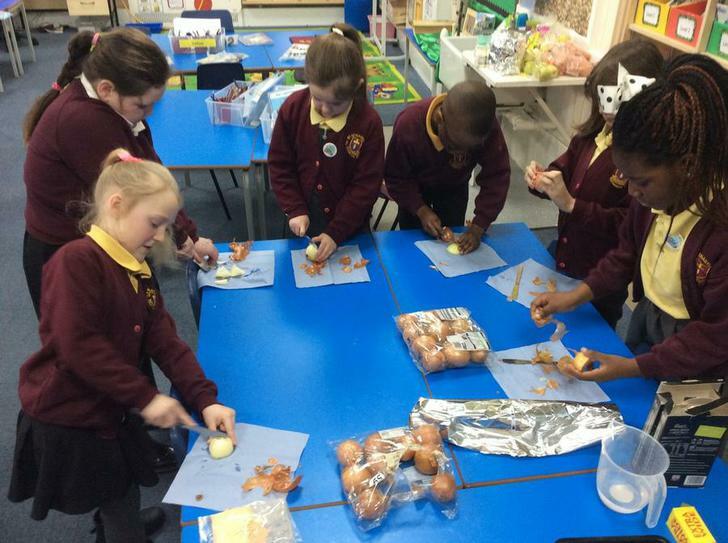 We had a go at making some of our own onion bhajis - they were yummy! We were privileged to have Martin Beddis from Sportsworks come and teach us how to play wheelchair rugby. This was great fun and we were thrilled to practise all of the great tactics Martin shared with us. Have a look at some of our photos!